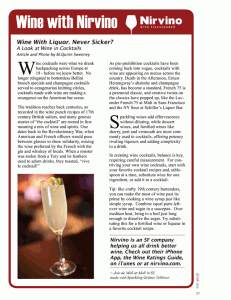 I was asked to write a piece for Nirvino in Drink Me Magazine on making cocktails with wine. There’s a longer version of the article that I will post here tomorrow, but I wanted to give you the magazine page, which you can click to enlarge and read. 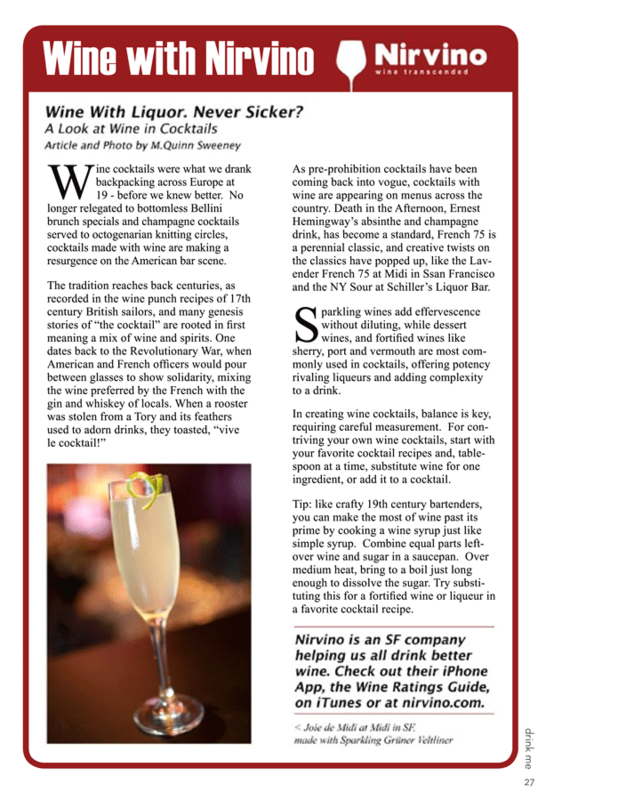 Drink Me is having a party for the release of Issue 6 on Thursday at Coda in San Francisco, and I’ll have an article in issue 7 as well, covering the SF World Spirits Competition. I had no idea that the event has always been closed off to press and media until I got there and was the only one not judging or filling glasses. Look at you. I never noticed how fancy your pants were until just now.